A Nigerian Digital Marketer has wowed not only his former Primary school management but also sensitizes after he revealed that he built a computer laboratory for the school. 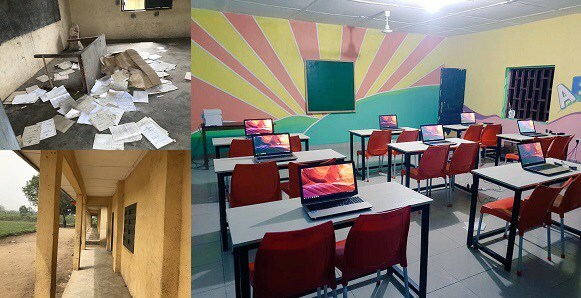 Editi Effiong took to his Twitter page to share photos of the newly constructed computer laboratory that’s well furnished with Computer systems to be used by each students. Effiong had made the promise to refurbish the school late last year when he paid a visit and revealed that he attended the school as a pupil over two decades ago. Starter pack for the two rooms, with shared computers. In a few months, each child will have a computer to themselves.